Welcome to the Mckinley Products LLC resources page! On this page, I will provide you with useful resources, plugins, tools, applications, and websites to help make your business life a little bit easier. I recommend adding this page to your bookmarks for convenient future reference. When my clients want to have their own server and maintain it, I always recommend Blue host. I’ve built hundreds of websites with Blue host as the hosting provider, and have yet to have an unsatisfied customer. I recommend these guys to all of my clients, family, and friends. If you’re looking to start your very first website, or are looking for a reliable hosting provider — look no further. You get a free domain name for life, great customer service, unlimited domains, unlimited email accounts, unlimited GBs of space, an anytime money back guarantee and my favorite part: You can set up a blog website in minutes with 1-click WordPress Install. These guys are awesome! Get started with Blue host. If you’re serious about coding, or you want to start out with a solid tool to code with, I strongly recommend Coda 2 for Mac. It has a beautiful User Interface with tabbed navigation, a super sidebar, and a simple layout. The features are outrageous and extensive, with code folding, smart complete, auto indentation, GIT integration, a built-in terminal — to name a few. The features seem to be endless. I use Coda 2 for all of my PHP and HTML work, and if you decide to use Coda 2 as your editor of choice, I know you will love it. The price of the editor weighs in at $75, but it’s worth every penny — in my honest opinion. This tool should go without saying. But if I have to explain — you need this tool. I use it 24/7 — literally. Dropbox is where you can store your personal & business related data. It’s accessible anywhere, and regularly backs up your important information. Because your data is accessible anywhere, Dropbox allows you to access your data at home, on the bus, in a coffee shop, or at a friend’s house. It’s truly a gem of a tool, and I think you’ll believe me. One of the best ways to get your customers to keep coming back, is to get information out to them on a regular basis. An easy and inexpensive way to do that is with a regular email campaign such as a monthly news letter. 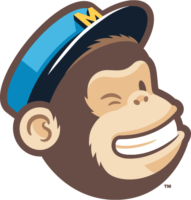 A great piece of software to manage these email campaigns, and everything that goes into it, is Mail Chimp. This is what I use, and I highly recommend it to everyone of my clients who wants to start sending out emails. It can handle all your email lists and is very user friendly. It has a multitude of plugins for various cms systems, like WordPress, Joomla, Drupal, etc. However Mail Chimp can also be used as a stand alone system as well. Here is a link to the WordPress Mail Chimp plugin. It does a great job, and integrates nicely into my WordPress site. Check it out. Check out Mail Chimp today. Moleskine is a company that makes some of the most beautiful notebooks you have ever seen. Their notebooks come customization with pages that are blank, lined, or grids. The covers can come in a multitude of styles. I find these notebooks great for doing site mock ups prior to wire framing, and taking notes in meetings. The pure beauty of these notebooks really help make you look professional.